Thales Group is a French multinational company that designs and builds electrical systems and provides services for the aerospace, defence, transportation and security markets. The headquarters are in Neuilly-sur-Seine (in the suburbs of Paris), and its stock is listed on the Euronext Paris. Thales is the only company in the world with leadership positions in both on-board equipment and ground equipment. Thales’ high level of expertise in providing a combination of air and ground solutions allows them to provide end-to-end mission support to military customers. Designed to increase operational effectiveness and flexibility, Thales Aerospace’s solutions improve situational awareness contributing to the future prosperity of the civil aerospace sector. From cockpit and cabin solutions to radar and air traffic management systems, Thales Group are meeting the challenges of growth, safety, economic and environmental performance, security and passenger comfort. Key Data: No.1 worldwide in air traffic management; More than 40% of the world's aerospace managed by Thales air traffic control centers; Thales equipment used by two-thirds of the aircrafts that take off and land in the world every day; No.3 worldwide and No.1 in Europe in avionics; No.2 worldwide in in-flight entertainment and connectivity . Thales Alenia Space is a joint venture between Thales (67%) and Finmeccanica (33%). For more than 40 years now, Thales Alenia Space has designed, integrated, tested, operated and delivered innovative space systems. 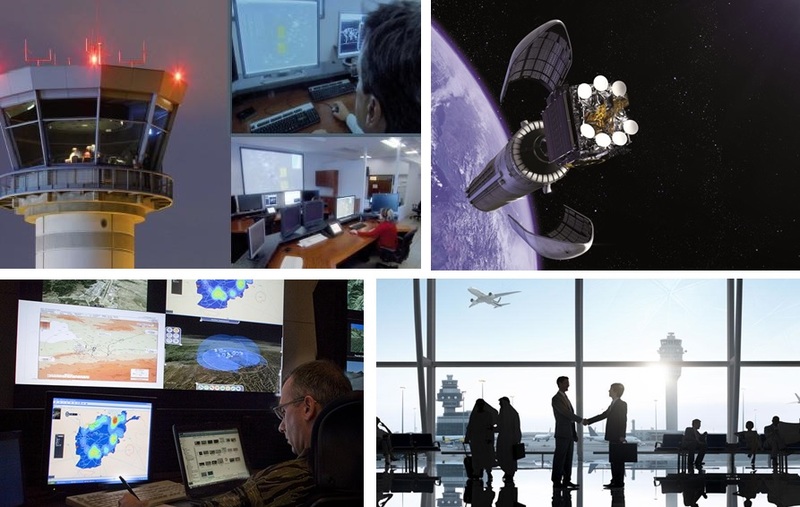 Thales Alenia Space’s cutting-edge products and services meet the needs of commercial and government customers from around the world, spanning the space, defense, science and security markets. Thales Alenia Space's satellites and payloads are recognized worldwide as benchmarks in delivering communications and navigation services, monitoring our environment and the oceans, better understanding climate change and supporting scientific research. Today, Thales Alenia Space is one of the main suppliers to the International Space Station, and a pivotal player in systems to explore our Universe. Along with Telespazio, Thales Alenia Space forms the Space Alliance, which offers a complete range of solutions and services. Thales Alenia Space logged consolidated sales exceeding 2 billion euros in 2014, and has some 7,500 employees in 8 countries. Thales has forged a solid reputation in the defence industry as a result of our high-performance solutions and strong investment in key research areas. Over 50 of the world’s navies rely on Thales’ solutions to better prepare for the challenges of the sea. They are also the leading supplier of C4ISTAR systems to NATO. Thales ranks #1 worldwide in advanced air defence, #1 worldwide in air C4I systems, #1 in Europe in defence electronics. Thales Defence is a world leader in supplying air, land, naval and joint forces with an unrivalled depth of capability in the following five areas: Communications, command and control systems; Mission services and support; Protection and mission / combat systems; Surveillance, detection and intelligence systems; Training & Simulation. Thales Defence offer includes: Thales COMM@NDER, an open architecture information system; SIGNIT and CIEW, strategic intelligence-gathering solutions; Joint systems infrastructure and satellite networks. As Europe's leading provider of digital technologies for defence and security, Thales designs, develops and deploys innovative solutions that meet the most complex security requirements. Thales’s security teams work with government and international agencies, interior ministries, civil security forces, critical infrastructure operators, cities and major companies to develop and deploy integrated, resilient innovative solutions to protect citizens, sensitive data and infrastructure. Thales solutions secure the four key domains considered vital to modern societies: Government : National security, border surveillance, identity management & biometry, etc. ; Cities: Urban security, large events, Smart Cities; Critical infrastructure: Government sites, oil and gas infrastructure, nuclear power stations, airports, sensitive sites including museums, religious sites, prisons and metro stations; Cyberspace. A world leader in electronics and security systems, Thales provides solutions that set the standard in the transportation industry. In 1986, Thales deployed the first Communications Based-Train Control (CBTC) signalling system on Vancouver’s driverless metro. Thales also supplied Spain, operator of the world’s largest high-speed rail network, with 50 per cent of all its interlocking systems, ETCS signalling solutions and communication system. Overall, Thales ranks: #1 leader in Europe with European Train Control System (ETCS) trackside systems; #1 worldwide in Communications-Based Train Control systems (CBTC); #2 worldwide in integration communication and supervision systems for transportation networks. Thales provides intelligent systems and services for: Signalling and train control; Traffic management; Communications; Supervision; Security; Passenger information; Ticketing and revenue collection.